Owning a coffee shop is about more than creating a comfortable space for people to meet and relax. 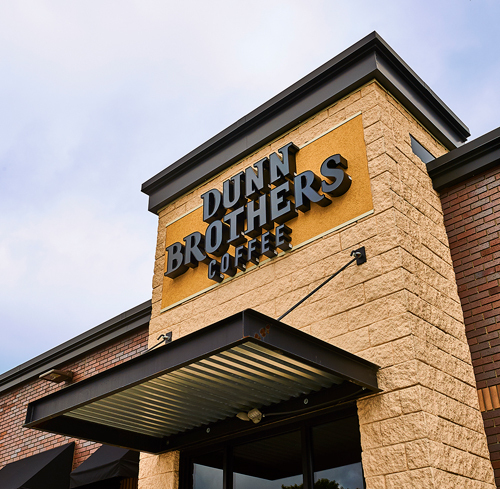 Here are the ins and outs of owning a Dunn Brothers Coffee shop. 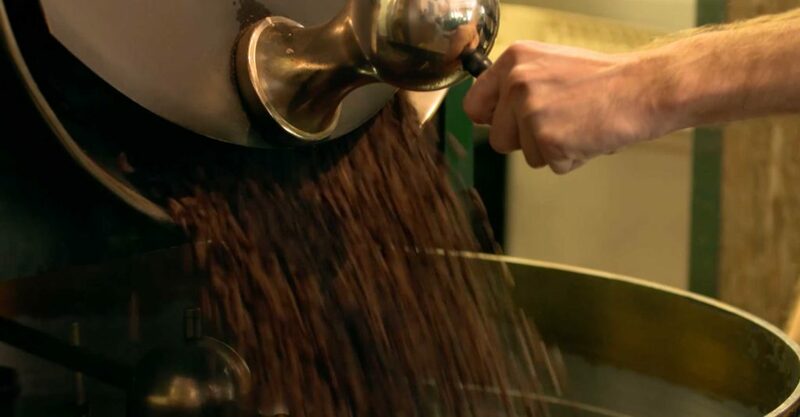 Our coffee is roasted fresh in-store daily. We do this in front of customers so they can see how their perfect cups of coffee come to be. Our coffee beans are single-origin, meaning they come from a single place. When you buy a Dunn Brothers Coffee shop, you’ll not only learn how to roast coffee, you’ll also have an opportunity to visit and meet with the farmers in the countries from which we buy our beans. Each coffee shop is intended to be reflective of the community in which it’s located. That means local artwork on the walls, hosting community events, or partnering with local businesses. It can be what you make it, but supporting your community is a primary focus of the brand. Our pastries are baked in-store, not delivered pre-made. We also offer a mix of made-to-order signature sandwiches and freshly-made salads. We require our franchise owners to have $125,000 in liquid assets and $500,000 net worth. We consider exceptions to the financial requirements if applicants have specialty coffee management experience. The cost of ownership of a Dunn Brothers Coffee shop ranges between $406,300 to $608,500. This includes construction, equipment, other start-up costs, and the initial license fee of $37,500. We help you create a comprehensive business plan and support for getting the proper funding. We have relationships with third-party lenders who are already familiar with the Dunn Brothers Coffee business and will be able to give you targeted information and clear guidance. Qualified applicants may be required to put 30% cash down of the total initial investment, and apply for a loan term of up to ten years. Our goal is to guide you through the process of understanding store-level economics so you can determine if this is the right business investment for you. More details about how we support you are on the Training and Support page. Great coffee shop real estate varies, but many of our stores are located in traditional endcap locations that range in size from 1,600 to 1,900 square feet. Having a drive-thru is a necessity for most locations unless your store is in an urban setting, skyway, or captive destination location. If you have or know of a property that you think would be great for a Dunn Brothers Coffee shop, let us know at [email protected]. We’re always on the lookout for great location space! In addition to Starbucks®, we compete against other regional and independent specialty coffee retailers. To a lesser extent, we compete with donut and bakery chains like Dunkin’ Donuts® and Panera®. We also sell coffee beverages and coffee beans by the pound, and an assortment of frozen beverages, baked goods, soups and sandwiches. We are often located in the same shopping areas as our competition. Fill out the Request for Information form here. We’ll call you to learn more about your desire to own a coffee shop and establish that we’re a good fit for each other. Fill out the franchise application. Review the Franchise Disclosure Document and meet with existing franchise owners. Begin training and site selection. Ready for your next big step? Click below and let’s get started.